It was recently revealed that the Apple Watch Series 4’s groundbreaking ECG feature will be activated in the upcoming WatchOS 5.1.2 update. As previously announced, though, only US consumers will be able to take advantage of it. This is due to the strict regulations in place throughout international markets, though Canada may follow suit in the near future. To comply with regulations, Apple has announced that it will honor refund requests related to heart health features for up to 45 days after purchase. The Apple Watch normally has a standard 14-day return period. According to an internal document distributed to Apple Stores and Apple Authorized Service Providers in the United States, obtained by MacRumors, Apple Stores will refer refund requests beyond the standard return period to Apple Support, so customers will need to contact them online or via phone to submit their request. 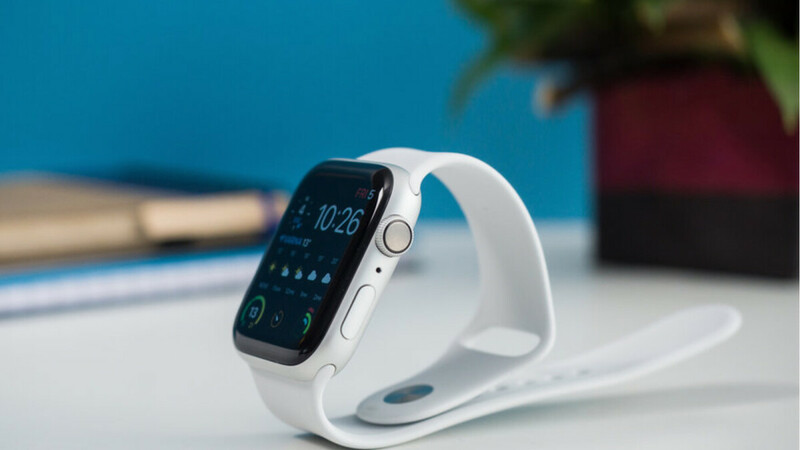 ECG reading capabilities are expected to become commonplace in wearables over the next year and could potentially help millions of users identify health concerns more quickly than ever before. Current data shows that anywhere from 2.7 to 6.1 million Americans may suffer atrial fibrillation – a statistic that can be lowered and much more accurately measured with real-time, on-the-go ECG readings. No wonder that the FDA is changing to a more flexible stance on wearables that offer this type of functionality. Fingers crossed that the functionality expands to other regions as well. So the ok only option to return is online or call. Why not taking to the store? I mean you can see what model ir is, and registration of rhe item is linked to your Apple ID. So they make the process harder, so less people will want to go through the hoops to return it. Come on Apple. For what customers pay, you can afford to make the process easier. You’d complain if you were hung from a new rope. Really? Here is the problem. You paid anywhere from $400-$800 for one of these. If you do a return I'll online or phone, you likely will have to ship it back. Which means you have to spend more money. When you could just return it to the store. There is an Apple store just 20 mins from my home. When I have an issue with a product I want to return, if in order online, I like the convenience, of being able to return it to the store . Other retailers like Target, JcPenny and others, allow you to return an item to the store, even if you bought it online. No phone call, no shipping, no online process. Just bring a receipt and have it in it's original packaging. Apple can't do the same? Why make it difficult, when you spent alot of money. Oh and here is another reason. If they return it too the store, then they could potentially take the instore credit and buy something else. While online or a call, the return ends there and there is no reason to buy something else. Even Best Buy allows orders placed online, to be returned to any mics store. Apple makes returning or even repairing products, a chore. The complaints are all on YT. 15 days bringing back to store is unchanged, I’m sure. But Apple giving a month and half is a crazy amount of time given for ‘buyers remorse’. So what if it’s online or phone? You still get your $400+ back. Complaining about shipping cost is like complaining that Best Buy doesn’t pay you gas money for a return. Seems you are complaining for the sake of complaining.